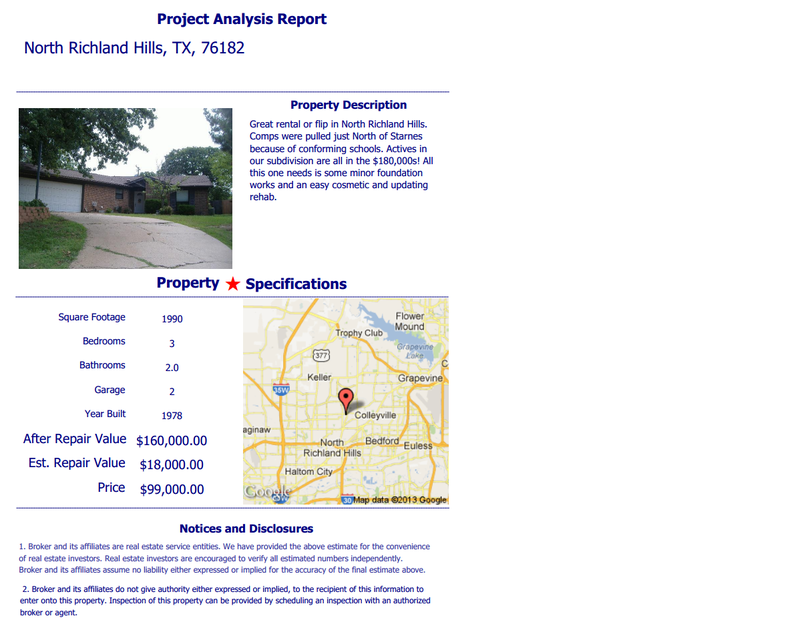 Great rental or flip in North Richland Hills. Comps were pulled just North of Starnes because of conforming schools. Actives in our subdivision are all in the $180,000s! All this one needs is some minor foundation works and an easy cosmetic and updating rehab.